I’m back from a wonderful time at Journalfest. Our retreat was held in Fort Worden and nature treated us to some glorious views. 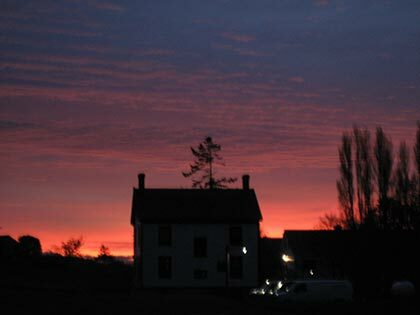 I picked up colorful leaves to save in my journals, saw a rainbow, watched deer wander across the lawn while having breakfast and saw a glorious sunrise on our last day. There was so much energy from both instructors and students. 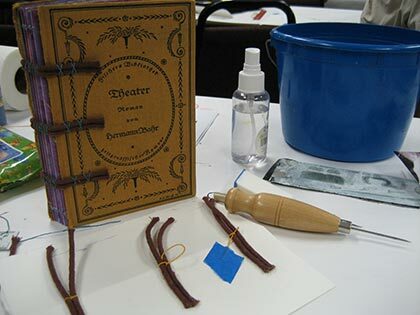 I took three classes, got to meet other bookbinders and learned so much from all the artists. No matter if someone was a beginner or experienced, we were all there willing to share tips and learn. I need to take more (and better) pictures of each book and I will post them on my Book Art page soon. Goodness, I just realized I’m very behind in posting projects on there! Anyway, it was all so wonderful. We had journal jams in the evening, classes during the day and well a bit of information overload but I felt so inspired and a tad bit sad on the plane back home. I just couldn’t believe it was over. Now, I want to make new books, I want to dream about going to next year’s Journalfest and an even bigger dream, I’d love to teach a class. Who knows right? Maybe one day. I’m glad to hear you had a wonderful time at Journalfest. I love the first pic, it’s beautiful! And the book looks gorgeous!! Sounds like a very creative time. I look forward to your pictures. Sounds like such an amazing experience I am so happy to hear you had a wonderful time. I can’t wait to see what all this inspiration produces. You really deserve to have time to get away and do nothing but be creative! This sounds like a fantastic event and in such a beautiful location! I love the photo of that gorgeous sunset!! I’m glad you had such a good time. I’ve been MIA, myself. Things are getting crazy busy at work. ‘Tis the season! Awesome! Your trip sounds amazing, and I’m just in love with your journals. They’re really beautiful, and I can’t wait to see more! Juliann – It was. I love taking classes not just for the learning of a particular project but because they just inspire me to think about other projects and stuff you know! 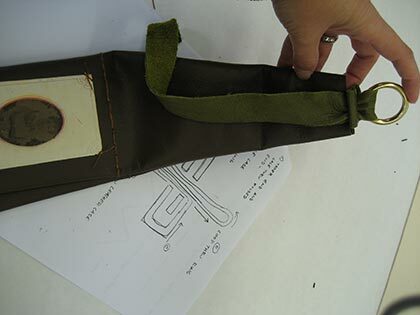 Christine – I don’t think I had processed just how much I missed my bookbinding classes in Dallas and this was such a strong reminder of that. I’m so glad I had the opportunity to go and I am going to start saving my pennies for the next one! Les in NE – I’ve never been up there before and it was a 2 hour drive from Seattle airport to Port Townsend. What beautiful scenery! I would love to go back and explore around. Take care of you – I can only imagine how crazy things will be for you between now and end of the year! Welcome back Iliana. So glad you had a good time. I love your projects and your pictures. Can’t wait to see what you will do next. Hey if you teach next year maybe I will come down and take your class. wow, those photos look great, what a lovely interest/talent to have! It’s great that such events are organised so that you can develop. 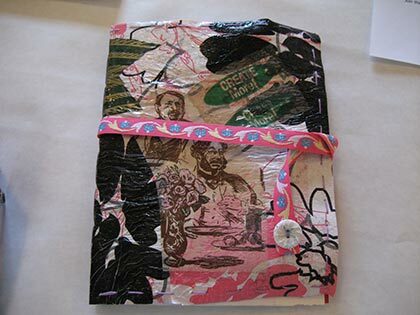 I absolutely love the journal you made from plastic bags–very cool! 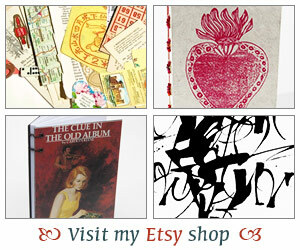 Sounds like a great time and looks like you made some great journals and books. I’m glad you had fun and those photos are inspiring by themselves. Lovely photos! It sounds like you had a wonderful time. It’s always so inspiring to be around other artists who do the same sort of work. Can’t wait to see photos of your journals! Joanna – I love making books. No matter if they are simple or hard, it’s just such a nice thing to be able to do. I realize I have much more to learn but looking forward to it. Jodie – Isn’t that a great idea? And, I actually “borrowed” that plastic bag from someone in class. Can you believe it is the wrapping from toilet paper tissue? haha… Love it. Stephanie – Thank you! I need to take pictures of the inside because it’s quite neat – all kinds of different papers are inside! So glad you had a wonderful time. It was fun seeing the pictures, both of your books and the setting. Hooray for good weather. I know this must have been a wonderful experience for you! Meeting the book artists AND learning new tricks of the trade sounds a perfect combination. Looking forward to more pictures; I especially like the last two! 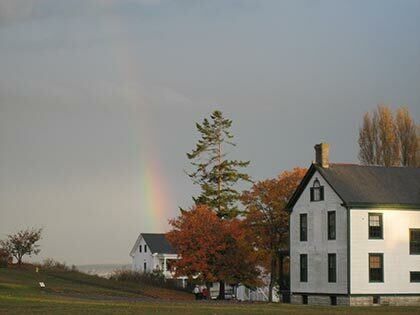 Just a follow-up….An Officer and a Gentleman was filmed almost entirely at Fort Worden and in the surrounding Port Townsend area. Now that you’ve been there, you’ll definitely have to watch! jenclair – The medieval book is wonderful. Don’t think I’ll make one of those again but such a neat thing to try! Rob – Ah, well, now I definitely need to see the film! I know I’m a little late posting but I couldn’t just click by. The journals you made are beautiful! Sounds like you had a wonderful, restorative, creative time!